I will be updating this thread with excerpts and links to my Winter 2018 trip reports, which will be posted every few days on my blog. It’s been a while since I’ve flown out to Yellowstone for a winter trip, and it’s something I’ve never done for a tour-oriented trip. But frankly, flying sounded easier and much less stressful than driving twelve hours each way in wintry conditions. Even if it did mean having to pack way too many bags in order to accommodate winter clothing and tour supplies. I arrived a few days prior to the start of my first tour, in order to get some scouting in and reacquaint myself with the park in winter. I didn’t make a winter trip last year, so it’s been a little while. Read the full report for Days 0 & 1 in my blog. Last edited by Max on Wed Feb 07, 2018 9:26 pm, edited 6 times in total. Thanks, Max. Makes me feel like I'm in the park again, too. Sort of. Glad the shutdown ended quickly. Can't wait for more good stuff from you. Thank you, it’s been a long time since we’ve had a current beautiful report. I’m confident that many of us greatly appreciate your efforts. Sounds like a good start, Max. Good luck with your group! Thank you for posting your reports, Max. I enjoy your descriptions, and your pictures make it all real, like living your trips vicariously. 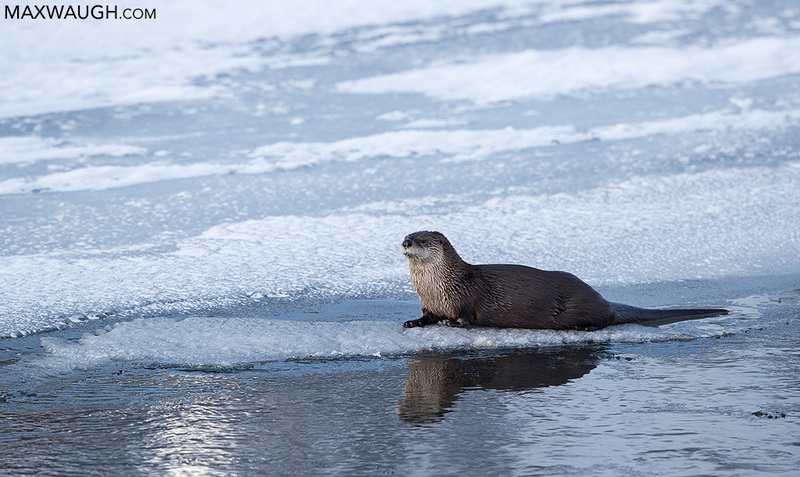 Best of luck with the weather and finding those animals on your excursions! Thanks, everyone. The next installment will be posted shortly below. I got a later start on Tuesday. Maybe it was my subconscious desire to have it warm up a bit by the time I hit the park. Didn’t work, as it bottomed out at 9 degrees at one point during the morning. It was a gorgeous day. The sun was fighting off lingering clouds and bathed Hellroaring in golden light as I drove through. Unfortunately, I didn’t find an inspiring composition, so I had to resort to taking mental pictures. 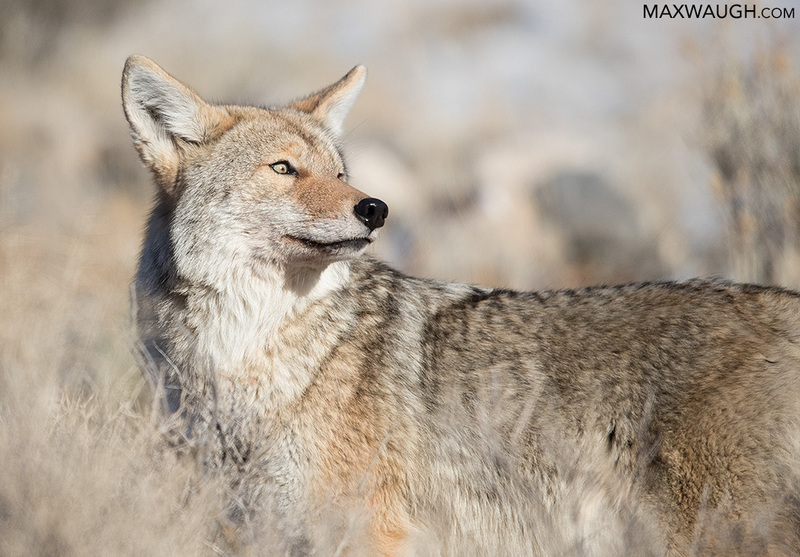 Nearly all of Monday’s coyotes had disappeared. Ravens remained on the Elk Creek carcass, but the only mammal present was the deceased. 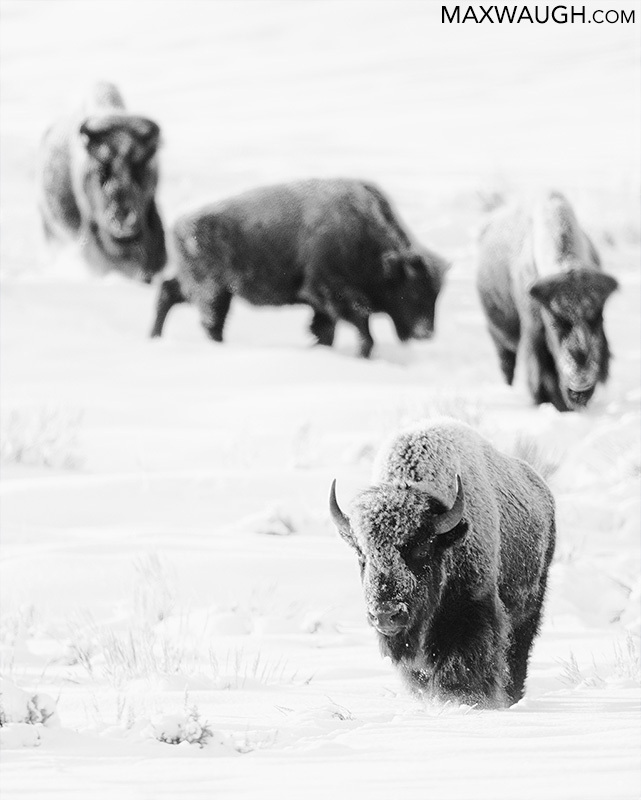 I didn’t make any stops until I’d nearly completed the drive through Little America, where a small herd of rimlit bison huddled together. I stopped to snap a few pictures, and then they started moving toward the road. Continue reading about Days 2 & 3 and see more photos in the blog. That dipper is really giving you the eye. Glad you got the cross-fox shot, even if it was distant. About 5 years ago, while riding my horse here in Utah. a cross-fox came up out of a very steep, wooded area on a narrow trail about 5 feet from the horse. It was carrying dinner. We were all shocked to see each other. The fox ran on up the hill. If I'd had the camera out and focused at that spot, I'm not sure I'd have gotten a picture. But it's still one of my mind's favorite pictures. I saw the cross-fox a few more times that summer, never where I could get a picture. It was so pretty, lots of black on its back and top of its head. It was our first day of exploration, and to my group’s credit, we hit the road right on time. Normally the start of the first day is a bit slow as everyone gets oriented and gear and supplies get packed into the vehicles, but we were on the ball Friday morning. Read the rest of the Day 4 & 5 trip report and see more photos in the blog.